Pack your bags and set sail with Harvey the dog. Pick a destination, select a boat and sail the high seas. Choose a tugboat, a super-fast speed boat or even a pirate ship! 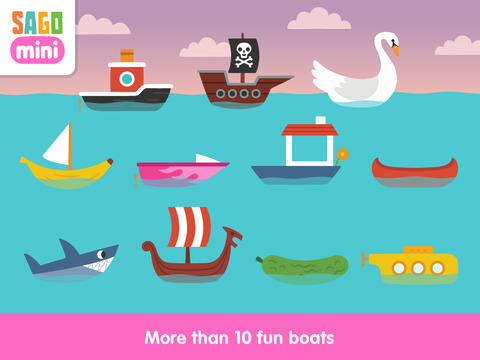 “Yarr!” Sail around the world to visit the Sago Mini friends. 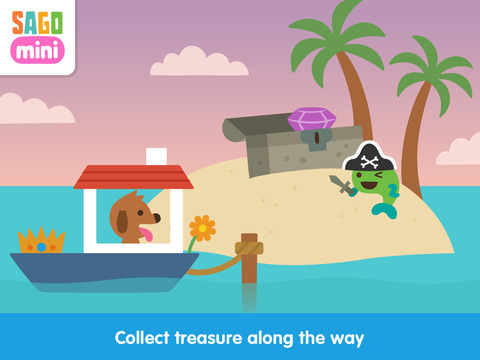 Make stops along the way to collect treasure, share an ice cream or meet some undersea creatures. When the voyage is over, a happy welcome is waiting for you! 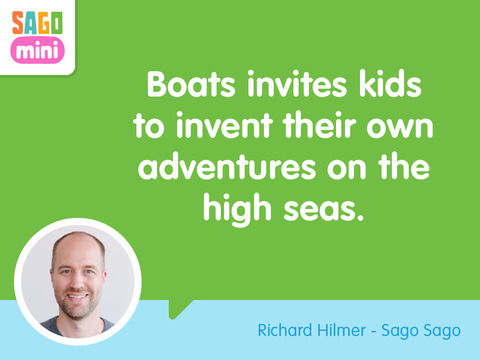 Playful and friendly, Sago Mini Boats puts kids at the helm. With super easy controls, young kids will love zipping and splashing along the water. Part of the award-winning suite of Sago Mini apps, this app is sure to delight. • More than ten boats, from a tugboat to a pirate ship! Stunt Wheels Creatacard Card Maker – Create and Send Birthday Cards and More!